You Can Sit at the Same Desk as Pam Beesly From 'The Office'! Find out how. It’s not just limited to the desk -- hundreds of props from NBC's hit TV show The Office are available at auction! Whether you've seen The Office one time or hundreds of times, I think we can all agree that the TV show was a pioneer in producing "mockumentaries" -- and did it very, very well. 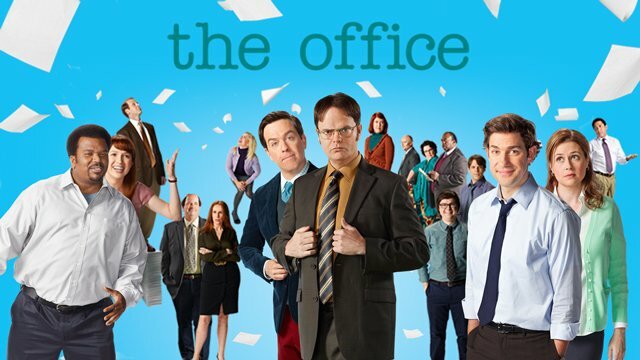 Although The Office ended its nine-season run more than five years ago, the comedic masterpiece has lived on with the help of Netflix. I know for a fact that any time I watch “The Dinner Party” or “Diversity Day” episodes, I'm pretty much guaranteed to laugh! 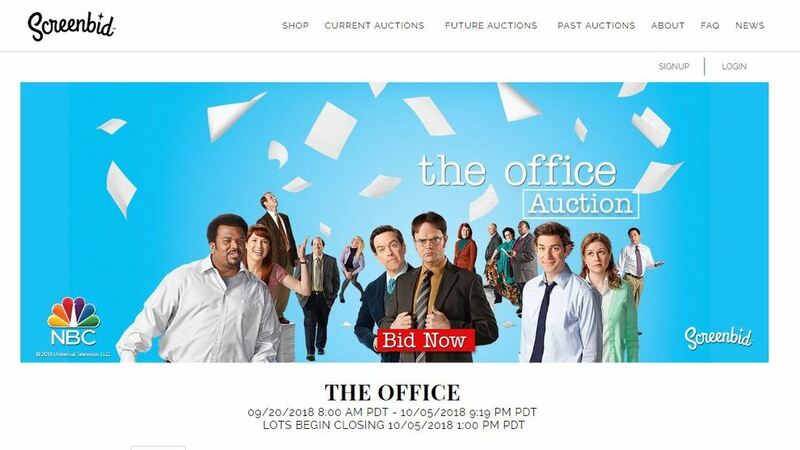 Screenbid is hosting an auction of nearly 500 items from the set of The Office. Yes, these are real items that were used when filming the show! 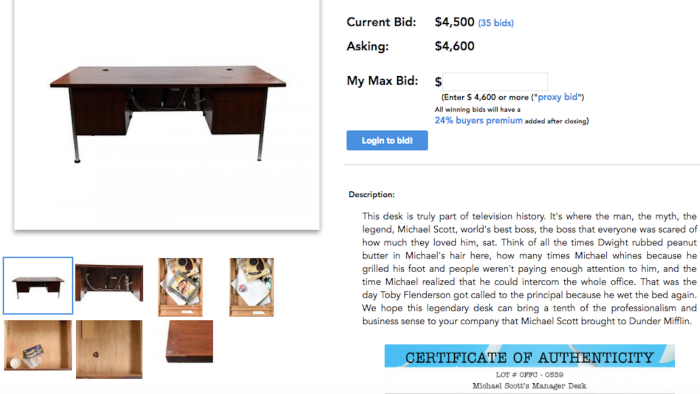 The auction includes the reception desk that Pam answered phone calls from, the conference room table and chairs, the St. Pauli Girl Beer sign that Michael fought with Jan over in my favorite episode “The Dinner Party, ” and even the nunchucks Dwight threatened to use on Roy to protect Jim. While bids for some of these items have already reached over $1,000, other items such as Stanley's desk pad and Angela's computer speakers, as of Thursday, still have a relatively low bidding price! As I’m sure you can imagine, the Michael (Steve Carell), Jim (John Krasinski), Dwight (Rainn Wilson), and Pam (Jenna Fisher) items tend to be the most expensive. There are some hidden treasures in here as well. You never know when you will need a “Vance Refrigeration” sign in your house! The auctions are going through October 5 and will be sent with a Certificate of Authentication to help you brag to all of your friends! Check out the full auction here. How high do you see some of these prices going? What is your favorite episode of the hit TV show? Do you plan on bidding on any of these items? Let us know in the comments!